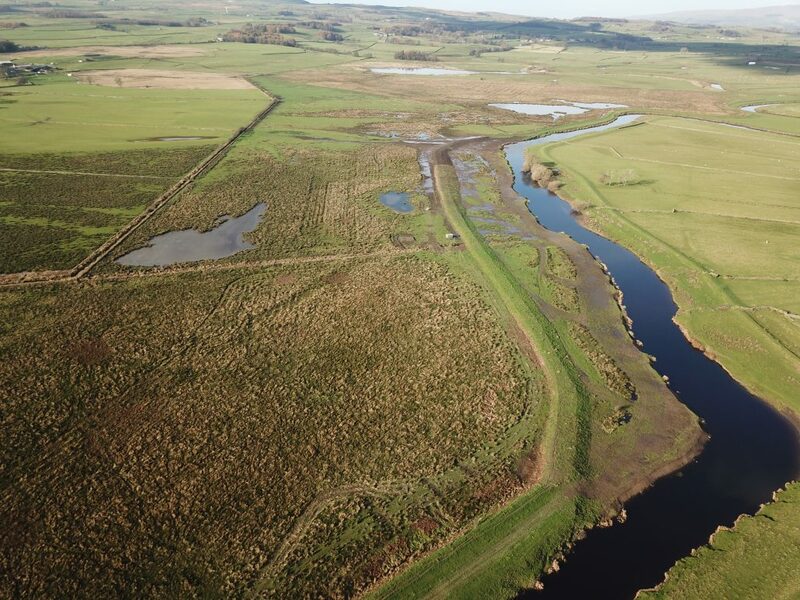 In summer 2017 Conservefor were appointed by The River Ribble Trust to undertake flood defence Improvements along a section of the River Ribble at Long Preston, North Yorkshire. 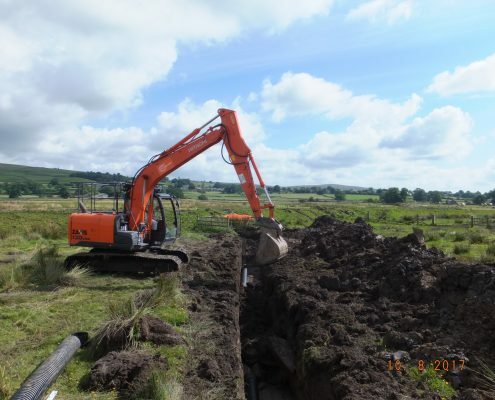 Conservefor deployed a team of three highly experienced plant operators using two 13 tonne excavators, a 15 tonne tracked dumper. 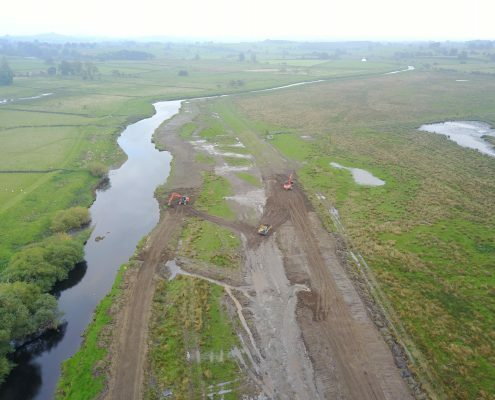 Work initially started by extending the existing sluices a further 60m from the river. 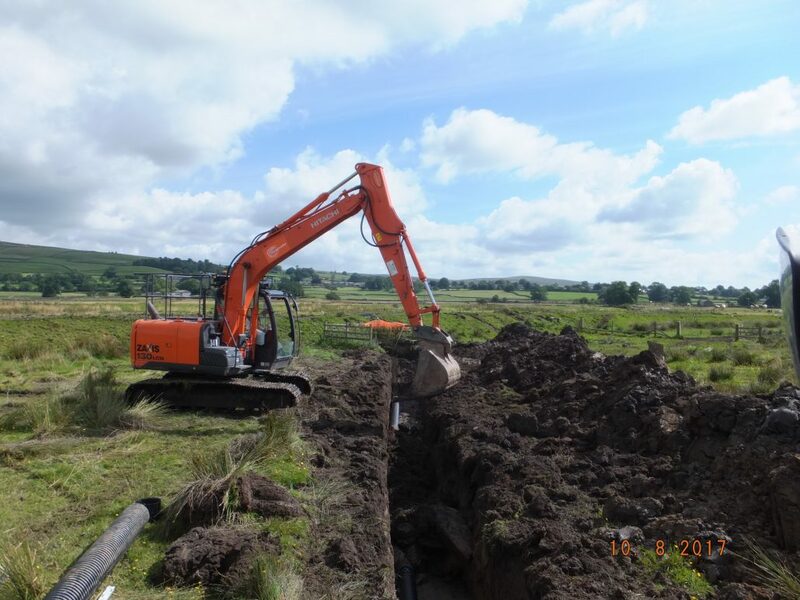 This ensured the new sluices were behind the new flood embankment and allowed any water collecting behind it to be released back into the river. 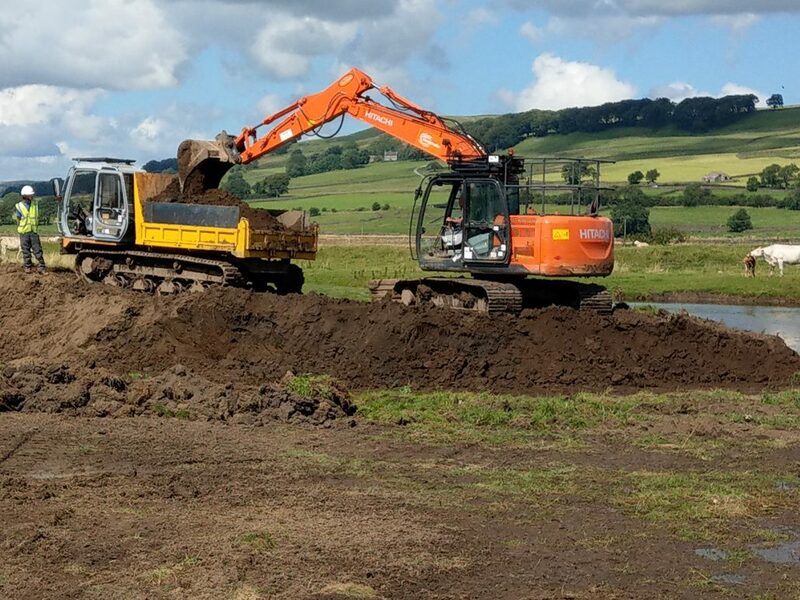 Work then began on moving the flood embankment to its new location. One excavator was to remove the earth embankment, load it into the tracked dumper, which would then transport the earth to the second excavator. 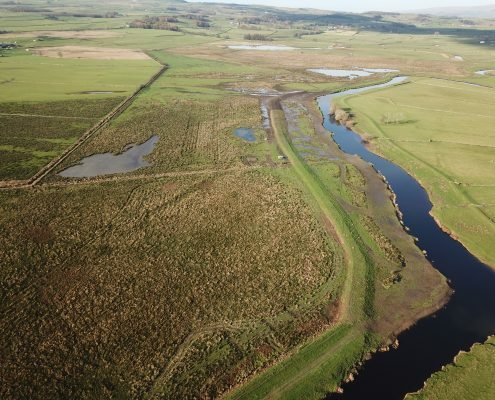 Where specialist techniques were used to create a new flood embankment able to withstand the full force of the Ribble’s flood waters. 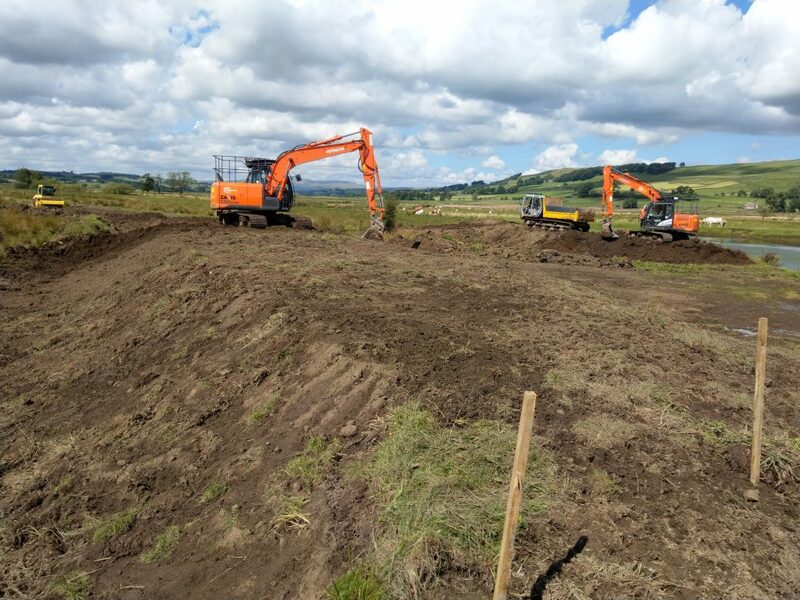 Work started downstream and worked upwards to ensure the new flood embankment was always protected by the existing embankment. Vegetation removed from the original embankment was re-used and secured using Yew pegs. 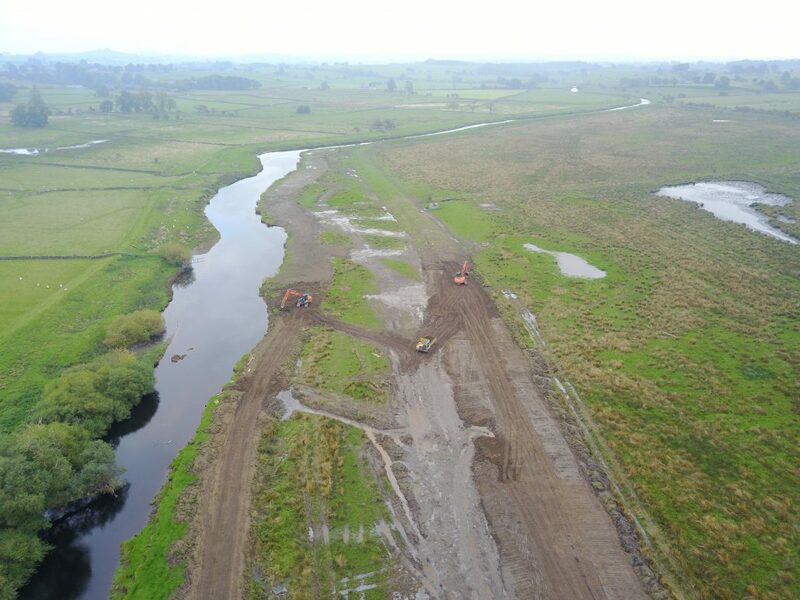 A custom mix of riverbank seed containing species native to the Long Preston flood plain was sown onto the embankment. 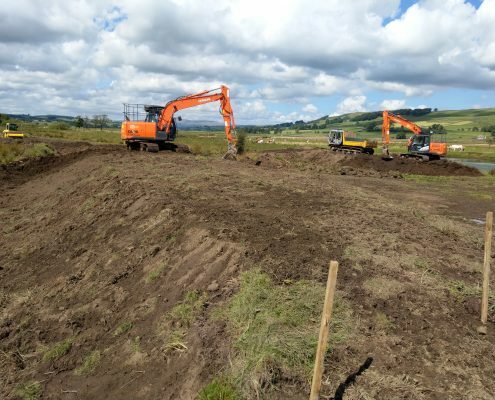 These techniques ensure a fast recovery for the disturbed vegetation and provide protection from flooding during construction resulting in a very stable new embankment, able to withstand flooding immediately. 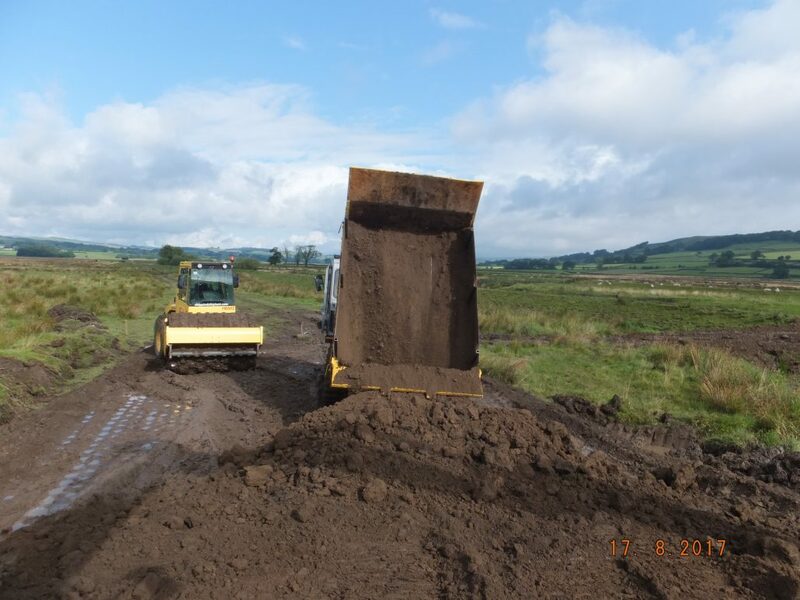 On completion of the new flood defences an earth ramp and ditch crossing were installed. This would allow access by a 10 tonne tractor, over the new embankment, to the land cut off by the new defences. 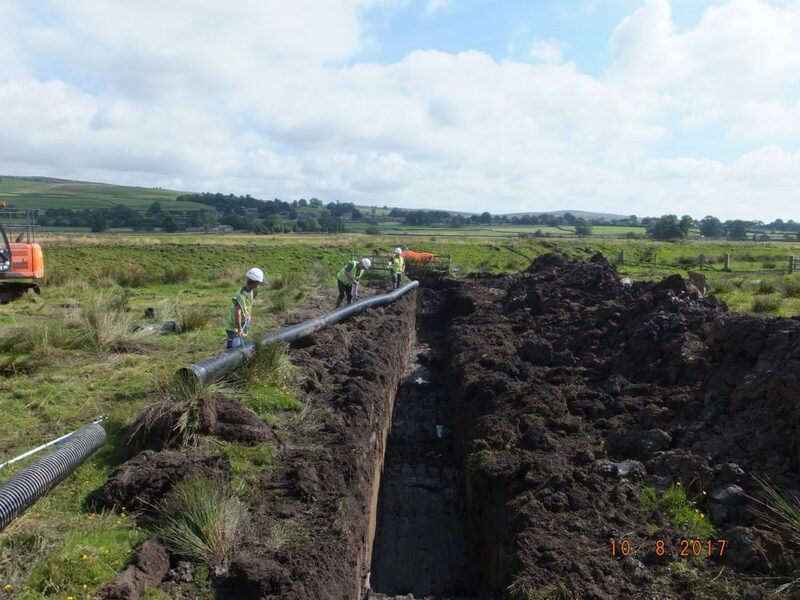 Throughout the contract, special care was taken to ensure the impact by machinery and works on this Site of Special Scientific Interest were kept to a minimum. As a specialist contractor with many years of experience working on such sites. Conservefor have robust environmental and construction procedures in place resulting in considerate and well planned approach to projects.